Charlestown Rowing Club welcomes everyone. We invite novices, experienced rowers, men, ladies, juniors and vets to come down and meet us. We gig race at some of the finest locations around the Southwest and Scilly Islands; recreationally row in St Austell Bay and on the Fowey river; have a full programme of club activities rowing out of the historic port of Charlestown and enjoy just doing something Cornish that is fun, healthy and part of the community. 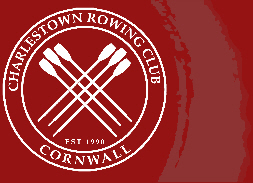 Our enviable set of gigs and equipment await you so there is plenty of rowing opportunities for everyone including novice evenings, crew training and race nights so if you are interested then come and Join Us at the Charlestown Rowing Club. New Charlestown Harbour webcam live!